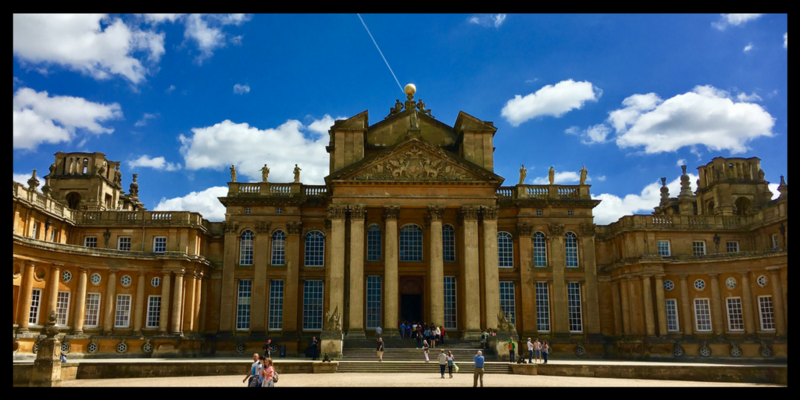 Are you thinking about visiting Blenheim Palace – UNESCO World Heritage Site and birth place of Winston Churchill? We have visited Blenheim twice – once in October and again in July 2017. We visited twice because to put it mildly its expensive to visit and the saving grace is that the entry fee allows unlimited visits for 12 months. So we were determined to get our money’s worth. In October we visited mainly the house (it wasn’t a bad autumn day but nevertheless not a day to enjoy the gardens) but on our recent trip we spent the day exploring the grounds. And that made the hefty entrance fee worth it. More about costs later in the post. There are lots of events at Blenheim Palace throughout the year and I would love to experience Christmas at Blenheim Palace too as they have lots of great happenings during the festive season. Blenheim Palace is the residence of the Duke of Marlborough and is situated in Woodstock in Oxfordshire, England. So yes the 12th Duke and Duchess of Marlborough (never met them) call this little pile home! The palace was built in 1704 by Queen Anne as a gift to the 1st Duke. 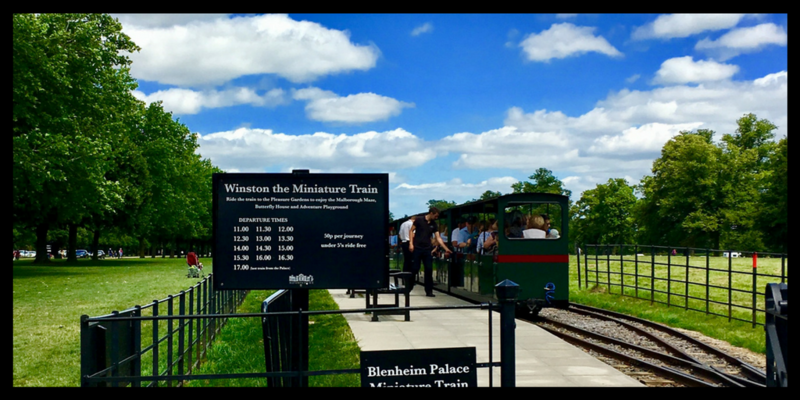 It is probably known primarily as the birthplace of Winston Churchill and when I have mentioned we visited the palace that is generally the first thing people say…..and that they visited a long time ago! We didn’t join one of the free tours which were included in the price of admission and regret it. I think we would have got far more out of our visit if we had. Instead we explored the State Rooms ourselves. At the time there was an art exhibition on and it did distract from the beautiful rooms in my opinion – juxtaposition of modern art with the stunning portraits, furniture and tapestries wasn’t our favourite experience. There are additional tours available for a small fee – (For example the ‘Upstairs’ Tour, ‘Downstairs’ Tour, Duke’s Floor Tour and Buggy Tours). 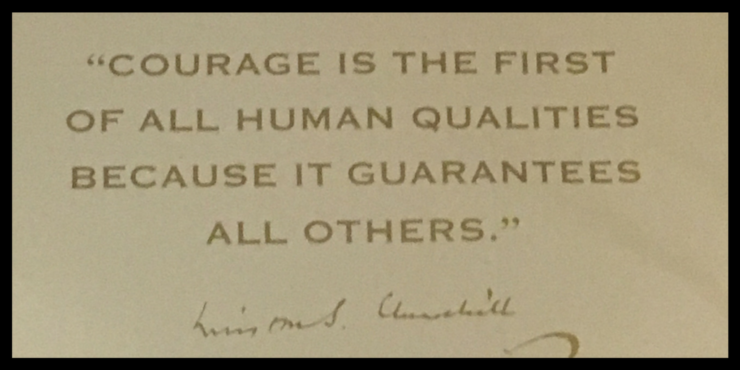 We took a stroll through the exhibition which celebrates the life of Churchill and I would recommend it. You even see the room where he was born! There is also a memorial garden to see once you are in the park – and the place where he proposed to his wife Clementine. While truthfully we weren’t overwhelmed by the house (should have taken those tours!) we absolutely loved the park and gardens! We visited in a perfectly beautiful English summer’s day and it was fantastic. The gardens are beautiful and there was so much to see and do! TIP – Take the train! Have coins on you to pay! For 50p each (single journey) you can take the train from the entrance to the family-friendly Pleasure Gardens which is just what we did! There is loads to do at the Pleasure Gardens and is a must to visit – if you have children definitely head there. We loved the butterfly house so much that we visited twice! I love butterfly houses – what is not to love! It was hot in there and was great for giving us a little taste of the climate we are about to move to in Tropical Northern Queensland! I am going to admit it but this was the first maze I had ever been in!! Really! It was good – we got lost a few times but eventually found our way into the middle! The lookouts help though once back on the ground it was easy to get lost again!! Great fun and highly recommend you go and get lost! When visiting Blenheim Palace in summer a walk through the gardens is a must! 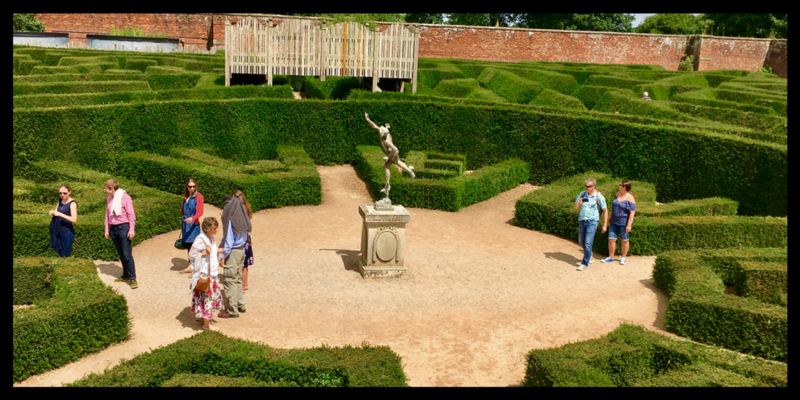 To get to them walk through the entrance and the courtyard to get to the more formal gardens at the back of the house. They are beautiful! And created by the famous Capability Brown too! Cost – if you are planning to visit the house, park and gardens if you choose to donate the cost of your entry to the Blenheim Palace Heritage Foundation Charity you benefit from a free annual pass which in my view is worth it and you are helping preserve the house and grounds for future generations. If you choose not to visit the house but purely the park and gardens the entry fee is cheaper but can’t be converted into an annual pass. Train – take change for the train (we were scrabbling around for change) which costs 50p for adults one way. 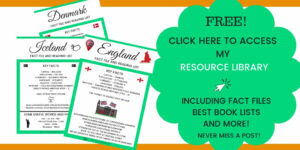 Food and drink – there are lots of places to buy food/drink etc but it is quite pricy. I recommend taking drinks and a picnic! 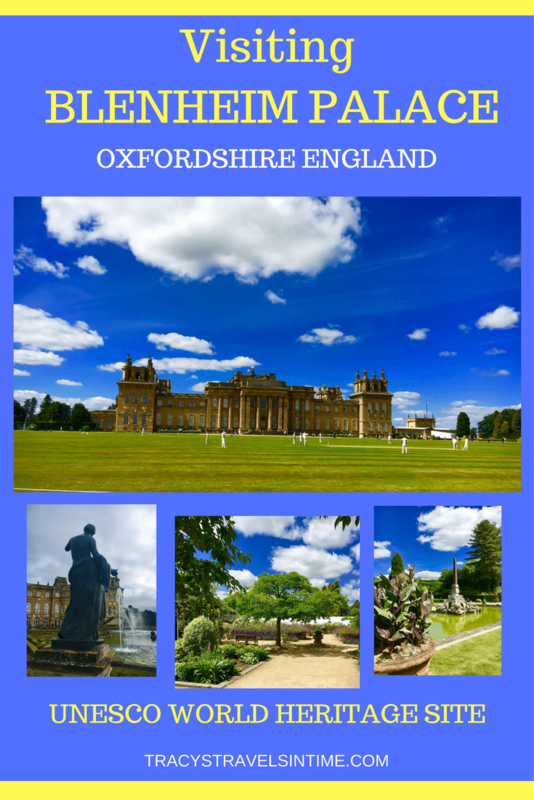 Have you visited Blenheim (recently!!) – what did you enjoy the most? If not is it somewhere you would like to visit? 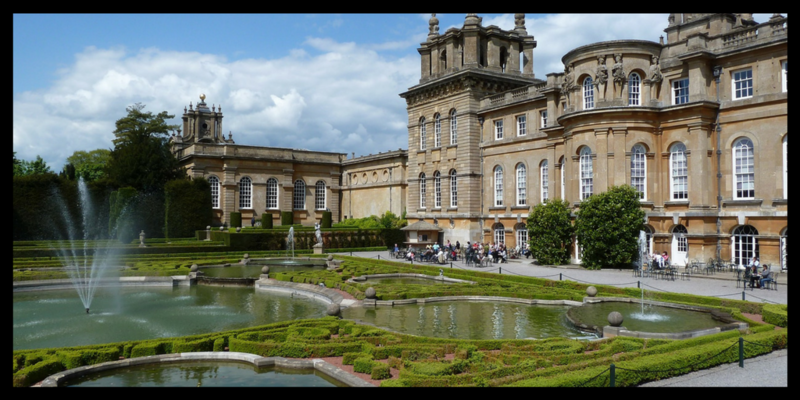 Blenheim Palace is a designated UNESCO World Heritage Site since 1987 to read its listing click here! 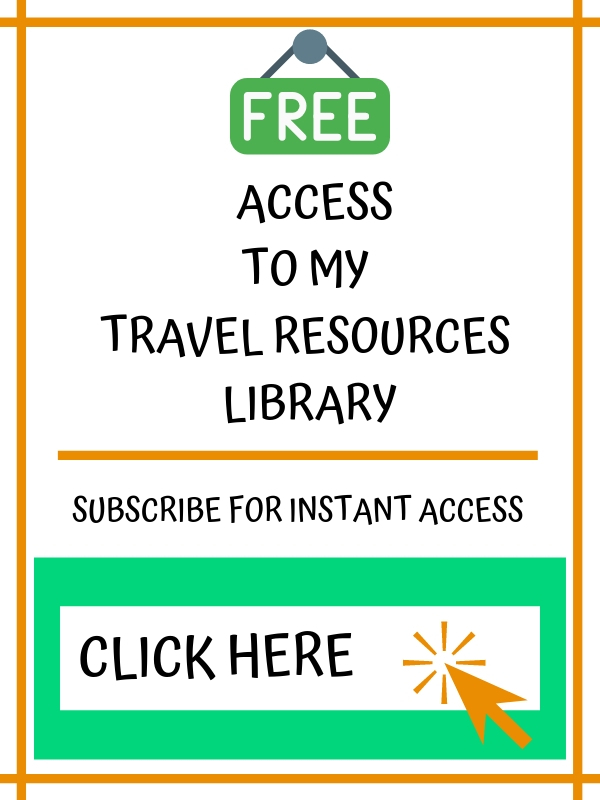 If you have an interest in UNESCO World Heritage Sites I have a number of posts offering tips and advice for visiting some of the best known places including Stonehenge, the Lake District, Kew Gardens and Ironbridge Gorge. What a beautiful place, Tracy! I love the look of those gardens, but the castle itself looks amazing too. Can you imagine calling a place like this a home?! How the other half live, eh! What a beautiful palace – and I was unaware that Winston Churchill was born here. Fantastic pics. Well done. 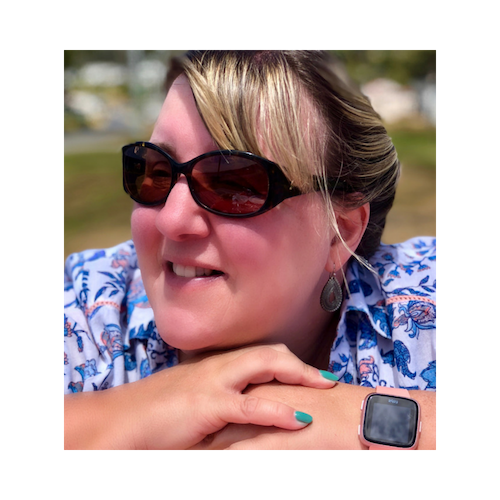 I could have really done with reading this post on Friday because I would be able to answer a quiz question on Winston Churchill’s birthplace if I had! 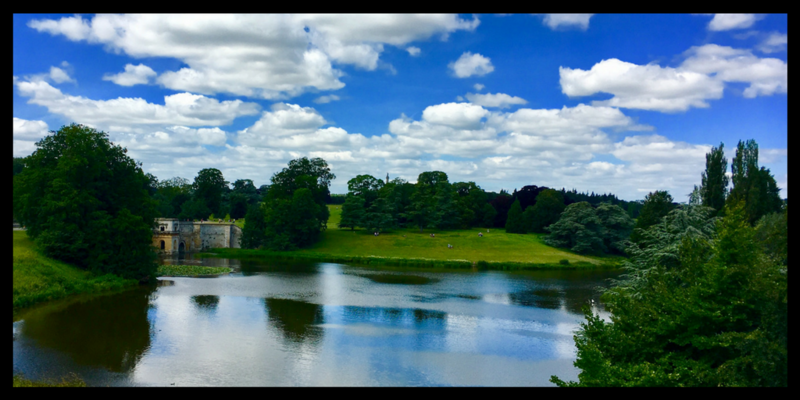 Great post and another example of a fantastic day out in the UK – such a beautiful building and grounds and looks like you guys had a perfect weather for it too! Thanks for sharing! 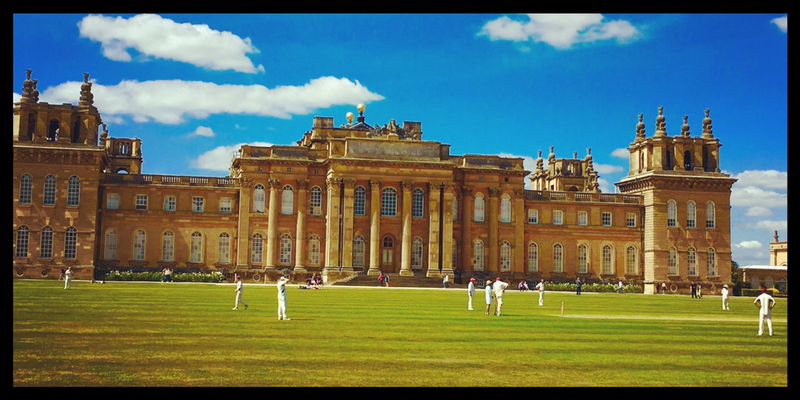 Blenheim Palace is quite the show stopper. It’s huge! I love the butterfly house, so many different species. Great post! Great post. 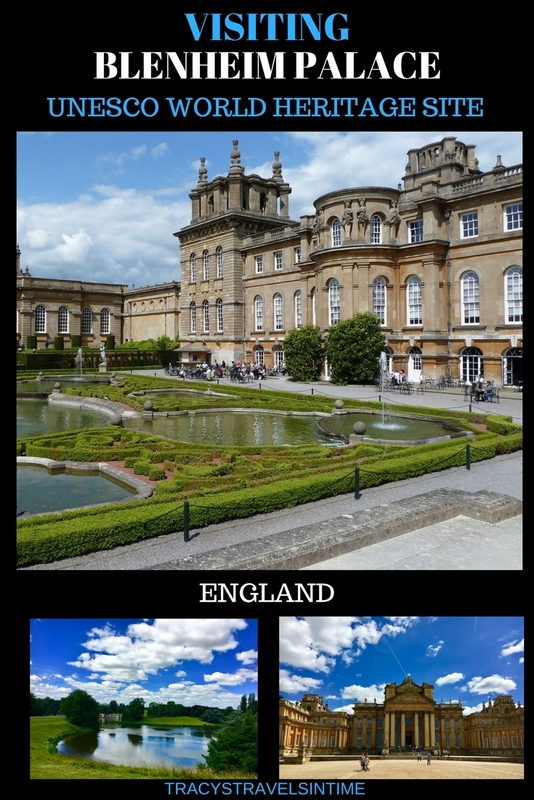 I’ve read a couple of Winston Churchill’s books so would love to visit Blenheim Palace. I don’t mind a bit of history so it looks like my kind of place. I’d never heard of Blehheim Palace but the fact that it’s the birthplace of Winston Churchill and a UNESCO site makes it a must see. I’m sure I’ve seen the Palace Park and Gardens used for the Antiques Roadshow? I’d love to visit the Butterfly Park to photograph the butterflies, your macros are wonderful! 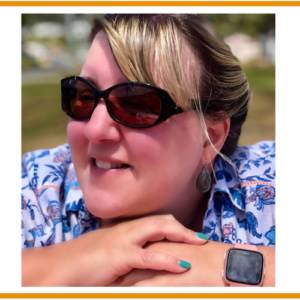 Thanks James – and taken with my trusty iphone! My husband bought me a digital slr for my birthday but i still prefer my camera phone!! How fabulous you got a nice sunny day to explore the gardens! Doesn’t happen too often in England. I bet you are glad you will be living in the tropics soon! I never knew Winston Churchill was some sort of a royalty. The bed does look familiar though from the Netflix series about the Queen. I always tend to regret not taking the free tours too haha! I guess there is a lesson here. Great write up! He is related to the royal family. He was from a well to do wealthy family. You know the British – your standing in the class system dictated your role in life. The house and grounds are lovely though! Those gardens look amazing! It would be difficult to leave them. I’m sorry you missed out on the free tour. Those are always such a help to me! I know! Next time i definitely will! Can’t believe we had never heard of the Blenheim Palace. The gardens especially are stunning! Such a lovely place for the summer. We love butterflies! Blenheims been on my radar for a while now and your pictures are making me want ot go even more! Definitely visit Alex it isn’t too far away from Nottingham – we enjoyed a summer visit as you can sit in the gardens etc. We really enjoyed it in the summer – had one of those glorious sunny days and just sitting watching the cricket was so relaxing! Lots to do with kids too! It is lovely on a day like that – we had a great time too! What a beautiful place! I’ve heard of Blenheim Palace but I’ve never been there. That has to change. Yes go and visit if you can it is lovely especially in summer. me too!! It is a great way to spend a summers day! I think I would go quite a lot if I had lived closer at the time – the gardens are just so lovely aren’t they? I agree otherwise it is very expensive – we loved visiting especially in summer but I think around Christmas would be great too!